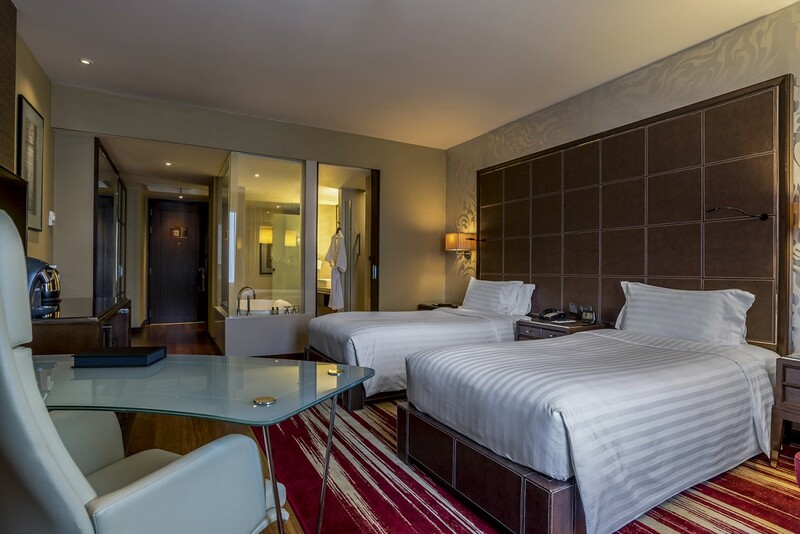 Enhance your stay at this Bangkok Hotel with our newly refresh Deluxe Executive Room. Recently refreshed, our rooms on higher floors come with the new wooden flooring, business travel essentials and exclusive Executive Club privileges for those who work hard and play hard. 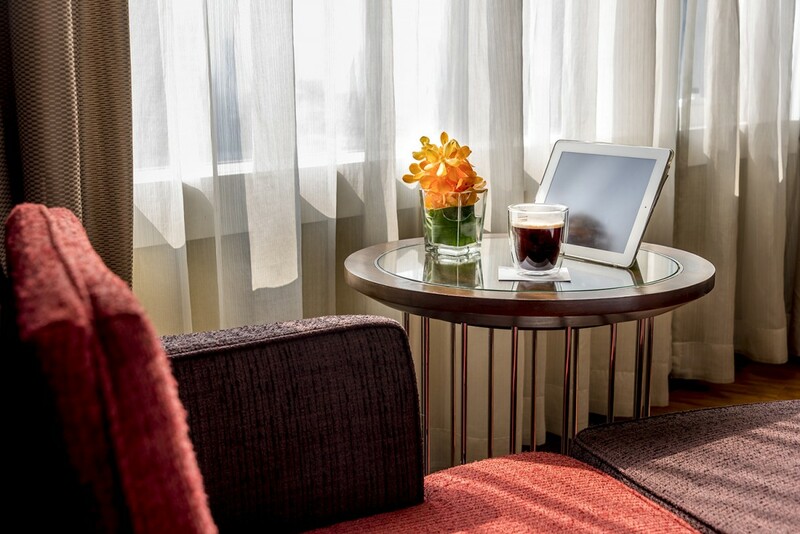 Deluxe Executive Rooms feature a space of 38 sqm with large window, flush bedding with pillow menu, working desk with Handy mobile phone, media hub, free Wi-Fi internet, flat screen TV and personal safety box. There are the mini-bar, espresso machine with coffee capsules as well as 24 hours room service. 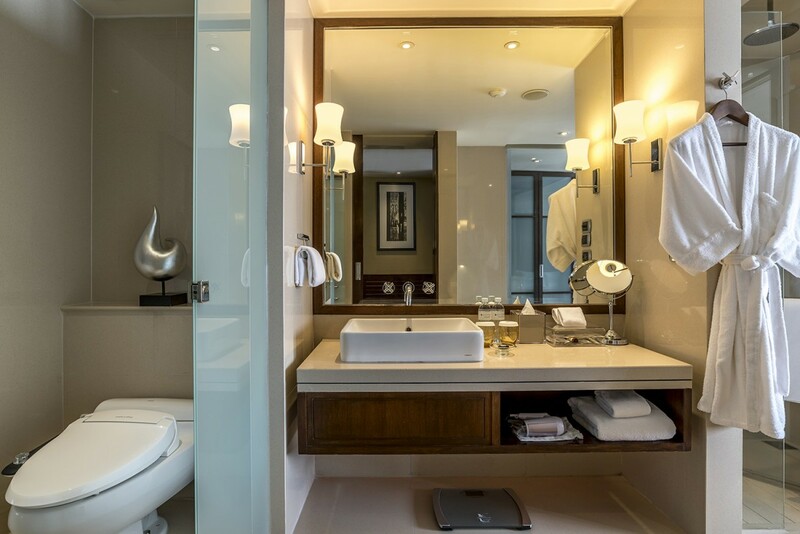 Bathroom has bath tub with separated shower rooms, bidet seat and the iconic C.O. Bigelow amenities. 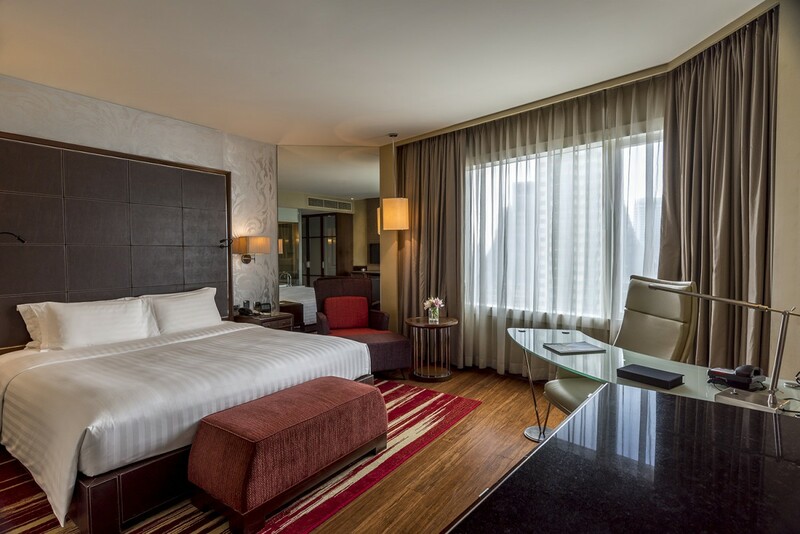 Pullman Bangkok Grande Sukhumvit provides special room rates for Deluxe Executive Rooms all year round. Book now to enjoy the new Deluxe Executive Room experience.